Blood pressure and heart rate responses evoked by p-hydroxyamphetamine and by p-hydroxynorephedrine. I. The relationship between evoked responses and plasma levels of drug. You are going to email the following Blood pressure and heart rate responses evoked by p-hydroxyamphetamine and by p-hydroxynorephedrine. I. 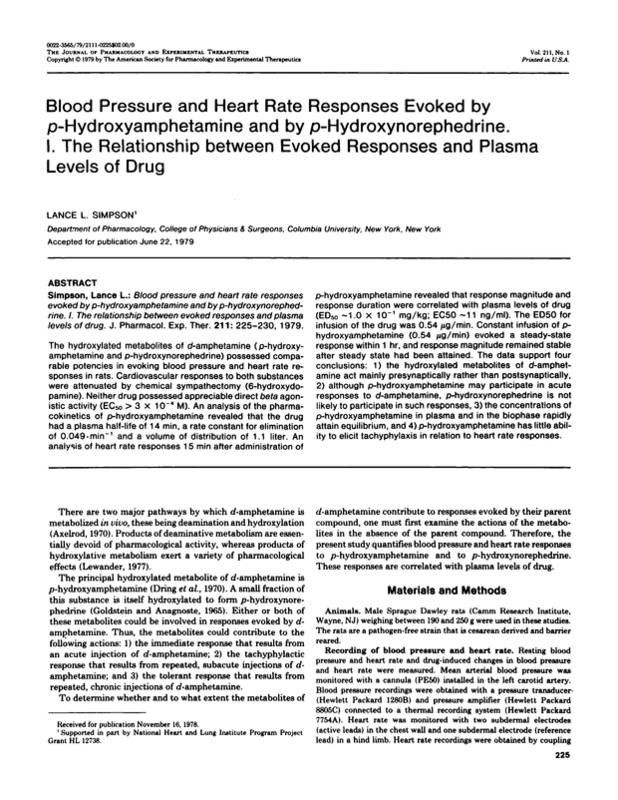 The relationship between evoked responses and plasma levels of drug.